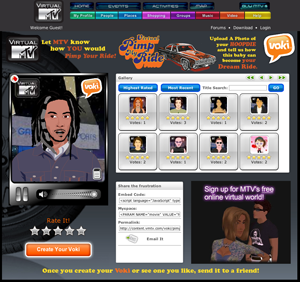 I Want My MTV…Voki Playground? MTV has partnered with Oddcast to provide avatar-centric Voki Playgrounds for some of their most popular shows. Visitors to these so-called playgrounds (really just a fancy word for sub-sites) can create customizable avatars that mouth your recorded voice online. The avatars can be viewed on the sub-sites, emailed to friends, or embedded elsewhere like MySpace. 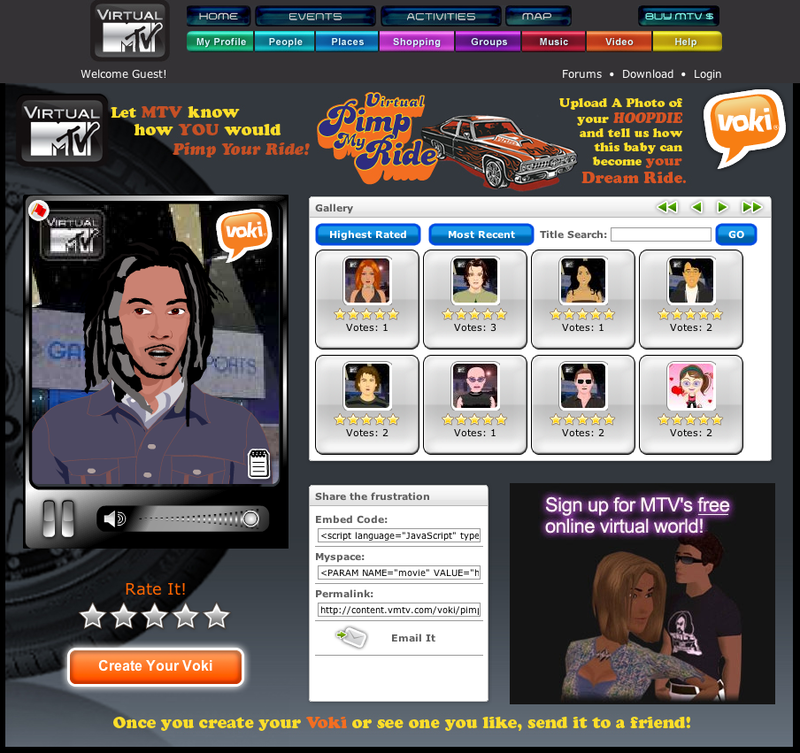 Users are encouraged to create vokis for the shows Pimp My Ride, The Hills, and perennial favorite The Real World. The avatars come from Oddcast’s Voki platform, which can analyze voice messages left by users and animate their avatars’ lips accordingly. It’s not very convincing, but it’s not meant to be perfect. If you want to respond to someone’s voki, you can do so by clicking on a button from within the voki widget. While Oddcast already has a number of big-name clients, the MTV demographic is especially valuable in the avatar market – it won’t be long before we see these tricked-out avatars flooding MySpace. MTV hopes to eventually monetize the playgrounds by selling digital goods that will allow users to further accesorize their avatars, though a pricing model has yet to be defined. This space is growing increasingly crowded with newcomers like Gizmoz and Fix8 competing with Oddcast, which has been around for nearly a decade. And while the new 3D animations we’ve been seeing lately are impressive, the likely victor will be the one that can target and monetize their avatars most effectively – a fact that makes this deal especially important for Oddcast.